Amber Hickey will participate in the Newberry Symposium on "Violence and Indigenous Communities: Confronting the Past, Engaging the Present." The symposium will be held at the Newberry Library's D’Arcy McNickle Center for American Indian and Indigenous Studies, in May 2017. Papers presented during the event are being considered for inclusion in a book on the themes of the symposium, geared towards classroom teaching. 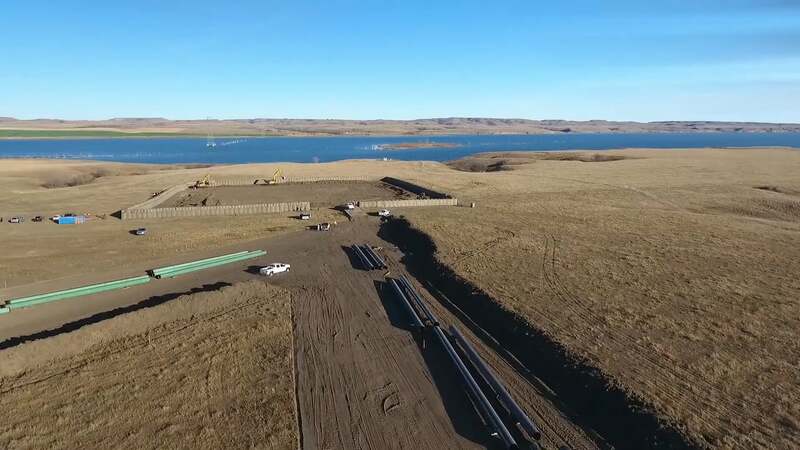 Image: Film still from drone footage of Dakota Access Pipeline approaching Missouri River. Image credit: Paulette Moore.